More and more wine consumers, as well as journalists and online scribes, are starting to notice that the Lodi Viticultural Area produces light, refreshing, perfectly crisp and natural white wines without any winemaker “adjustments,” like the addition of acidity in the winery. Lodi is also known for Zinfandel – the region crushes nearly 40% of the entire state’s production each year. With the advent of smaller, artisanal Lodi based producers over the past 10 or so years, Zinfandel lovers are starting to notice another salient fact: Lodi produces a more delicate, gentle, fragrant style of Zinfandel – in comparison to the bigger, thicker, riper, jammier styles associated with, say, Napa Valley and most of Sonoma County. The 2015 Freelance Wines Lodi Coup de Grâce ($25) has an eye-catching label depicting George Washington leading his blue-coated men into battle, amidst falling snow looking more like shimmering Fourth of July confetti. The red wine inside is even catchier: A full throated, dense yet lusciously rounded blend of Lodi grown Zinfandel (47%), Petite Sirah (29%), Petit Verdot (15%), and Cabernet Franc (9%). The aromatic profile is deep and spicy – cracked black pepper mingling with a whiff of smoke, like the proof of bombs-bursting-in-air. What’s not to like? 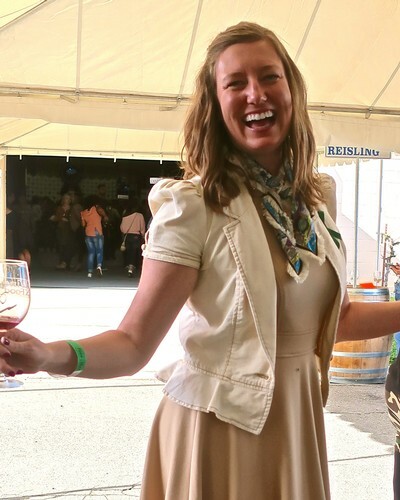 LODI RULES Director Stephanie Bolton Ph.D. at last week's growers' and vintners' "Spring Party"
Last week Thursday (April 12, 2018), Lodi Viticultural Area wine grape growers and vintners came together to celebrate a “LODI RULES Spring Party,” sponsored by the Lodi Winegrape Commission, and generously hosted by Michael David Winery. 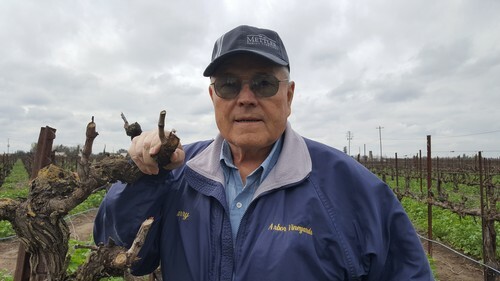 John Anagnos has worked for Arbor Vineyards the past 38 years and has served the Lodi farming community even longer. John Anagnos was serving tri-tap sandwiches with all the trimmings for a hungry gathering at an outdoor luncheon. He was struggling with a slicer and not at all happy about it, when he heard his name called. Some of those around him began offering their congratulations. 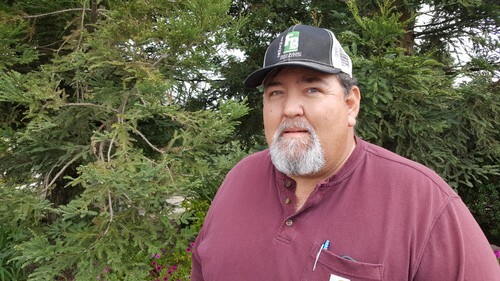 Anagnos was puzzled for a moment before he realized that he had been named the 2017 Agribusiness Person of the Year by the Lodi Chamber of Commerce. 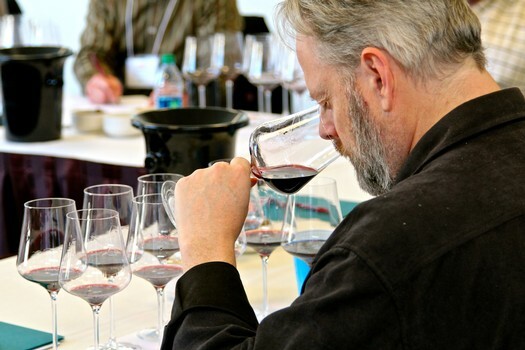 How do Lodi grown wines compare to the best in the world?​ The only real way to find out is by lining them up right next to each other, and then tasting them “blind”: Judging them purely according to sensory qualities found in the glass, not by what you may have heard or assume about the wines. Winemakers are like everyone else. As soon as they get something done, they can’t wait to show it off. Which is why, in early April of each year, the Lodi Wine & Food Festival is the place to be if you, too, can’t wait to try many of the local wineries’ latest releases – especially some of the previous vintage’s whites and rosés, fresh off the bottling lines. 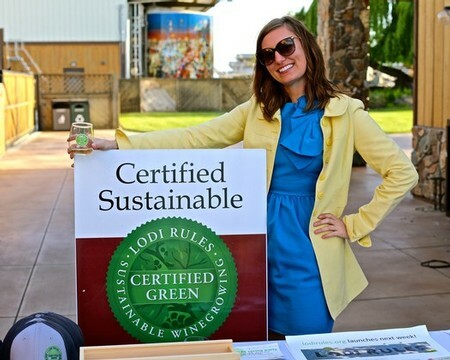 Under the Wine School tent at this year’s Lodi ZinFest – taking place Saturday, May 19, 2018 at bucolic Lodi Lake Park – we will be pulling out all the stops to bring some of the wine world’s most celebrated winemakers, and most cutting-edge wines, to the stage. 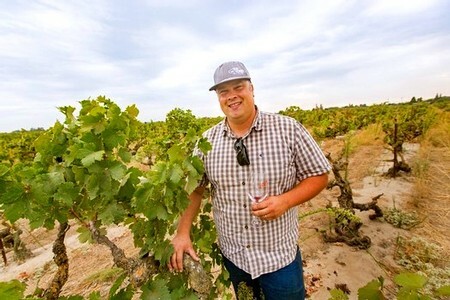 Lodi winegrowing icon Larry Mettler will be the guest of honor at the Notably San Joaquin Wine Auction and Dinner at Hutchins Street Squad in Lodi. Larry Mettler is seated in a comfortable chair inside his family winery’s tasting room. Outside, the trees sway in the breeze and acres of grape vines stand in neat rows. Usually bustling Thursday through Monday, the tasting room is closed this day and eerily quiet. 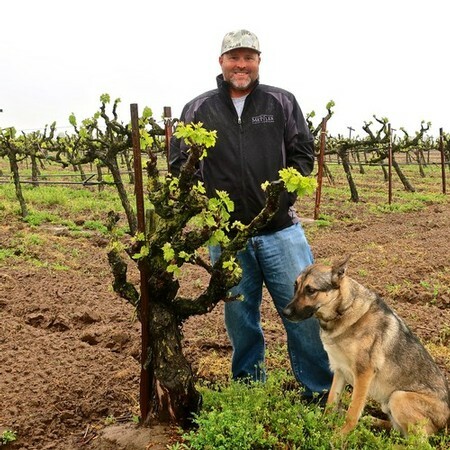 It’s not lost that Mettler, a Lodi winegrowing icon with multiple generations of family farming history behind him, resembles a monarch on his throne. 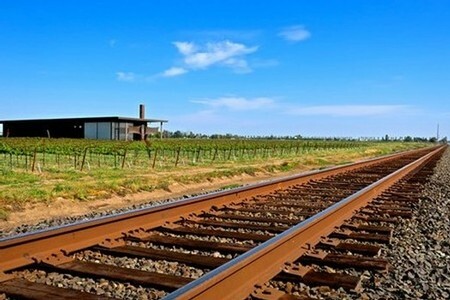 Mettler has built a successful vineyard management company and a thriving winery, a must-visit on the Lodi wine trail. His wife, Charlene, their three children and other members of the family are involved in the businesses. On Saturday, Mettler will be honored at the Notably San Joaquin Wine Auction & Dinner at Hutchins Street Square in Lodi. Such occasions call for reflection. So, what is Mettler grateful for as he looks back on his life?